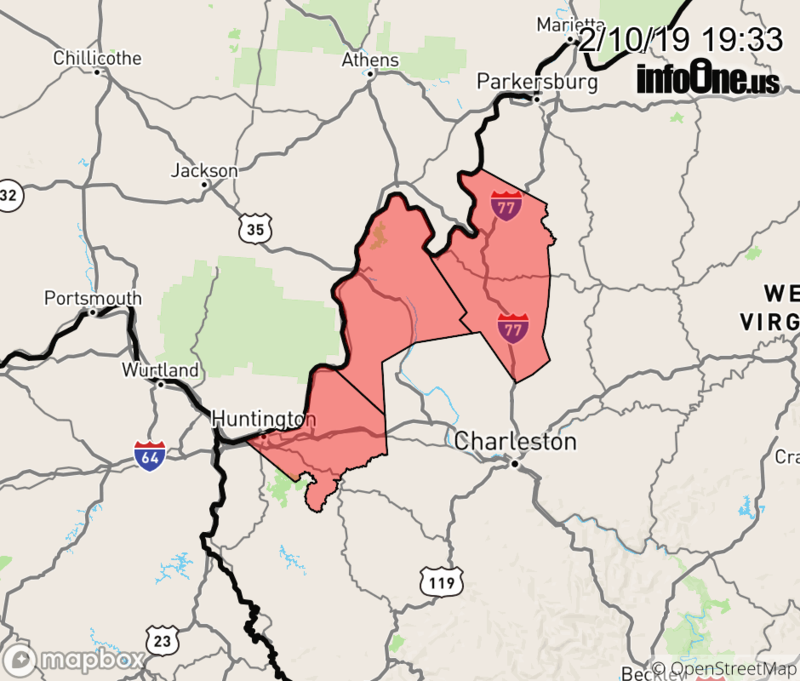 The Flood Watch continues for * Portions of northeast Kentucky, southeast Ohio, and West Virginia, including the following areas, in northeast Kentucky, Boyd, Carter, and Greenup. In southeast Ohio, Athens, Gallia, Jackson OH, Lawrence OH, Meigs, Morgan, Perry, Vinton, and Washington. In West Virginia, Cabell, Jackson WV, Mason, Pleasants, Tyler, and Wood. * From Monday morning through Tuesday evening * Rainfall amounts of 1.5 to 3 inches are expected Sunday night into Tuesday. This combined with saturated ground may lead to flooding of local creeks and streams, which are already elevated following recent rain. As all this water works through the system, some flooding along main stem rivers is also possible.